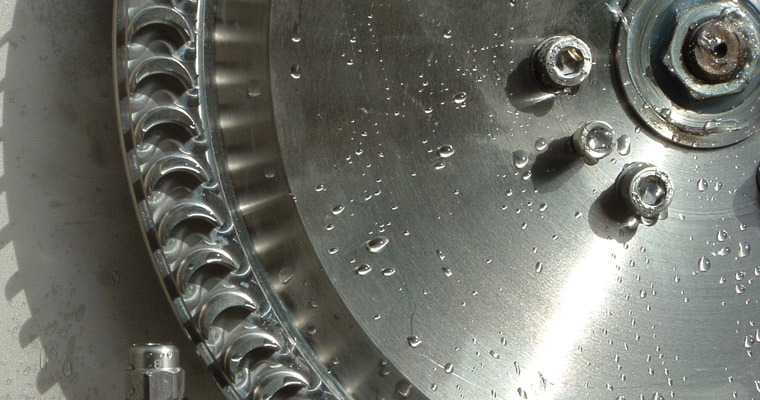 Water-motors are simple bare-shaft water turbines that are used to drive industrial and agricultural equipment such as pumps, foam generators, fans, and hand-tools. These prime movers have been used in industry for well over 100 years and have advantages over conventional electric motors, including safety, robustness and isolated locations. Anywhere there is a fluid under pressure there is scope for power generation or power recovery. Mining and quarrying operations frequently use pressure water for cooling, dust-suppression and mineral extraction. Water-motors are used to power remote underground lighting in some gold mines and power for automated monitors in alluvial mining such as the china clay industry. Agricultural irrigators use a reaction turbine within the pipeline itself so that none of the water flow is lost from the system. Offshore oil platforms using high-pressure water for re-injection have a safe, convenient source of power for instrumentation and rig-services. Production platforms discharging high-pressure oil can recover some of the energy rather than dissipate it in pressure reduction valves. Power for oil storage barges can be provided by compact in-pipe turbines; as opposed to installing large solar collectors that are expensive and vulnerable. Safe systems, which are fireproof and present no electrical hazard, are used by fire fighters to run foam generators, remote monitors and power tools. Underwater or operation in very wet conditions is possible. Suitable applications range from hull and pipeline cleaners to power tools and dredging equipment. Power-recovery in the chemical industry or in desalination plants can lead to dramatic power savings. Tensioning and hoisting applications that result in the motor being stalled for a long period, present no problem for a water-motor. Hydro-motor is a standard modular design for horizontal or vertical mounting. Several turbine runners are available to accommodate different pressure and flow requirements. Pro-motor is a simple propeller turbine for very low falls and is usually packaged with a positive displacement pump for drinking water and small irrigation systems. Rotor-motor is a positive displacement ‘water engine’ for driving power tools and where the head and flow are not constant. Flow-motor is an open stream rotor for use in tidal streams, rivers or water treatment works. The applications include battery charging, water-pumping and pipeline services. We supply each type in several sizes, complete with bearings and seals. The casing is typically made in stainless steel or aluminium. The runners are cast bronze or stainless steel. Many options are possible, including flow control, governing and packaging with other equipment such as pumps or generators. The application will determine the layout and type of motor that is most suitable. The power output is determined by the head and flow available. The duty ranges from emergency only to continuous 24 hour applications. The fluid used to drive the motor may be corrosive, abrasive or very viscous.